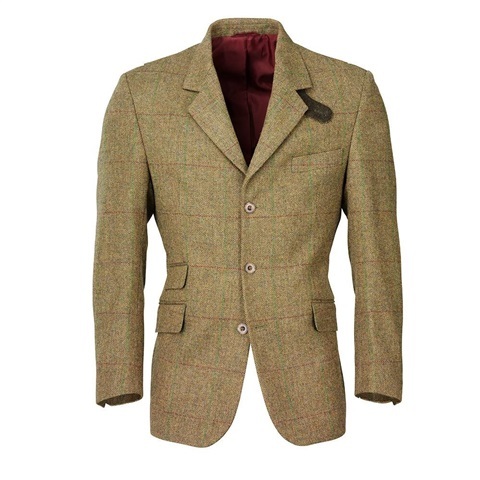 Wingfield Tweed Jacket. 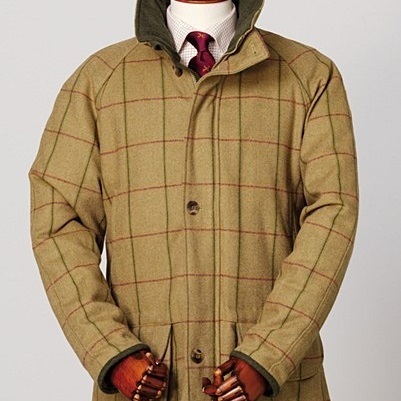 The new Laksen Esk Wingfield Tweed Coat is made of Scottish Tweed of 100% pure new wool, is Teflon®coated and has a CTX™ membrane, which makes it waterproof, windproof & yet breathable.Features a CTX™ Waterstop system.Teflon® coatedSteiner Loden and Amaretta™ reinforcements.Weight: 1370g The new Laksen Esk Wingfield Tweed Coat is made of Scottish Tweed of 100% pure new wool, is Teflon®coated and has a CTX™ membrane, which makes it waterproof, windproof & yet breathable. Features a CTX™ Waterstop system. Teflon® coated Steiner Loden and Amaretta™ reinforcements. 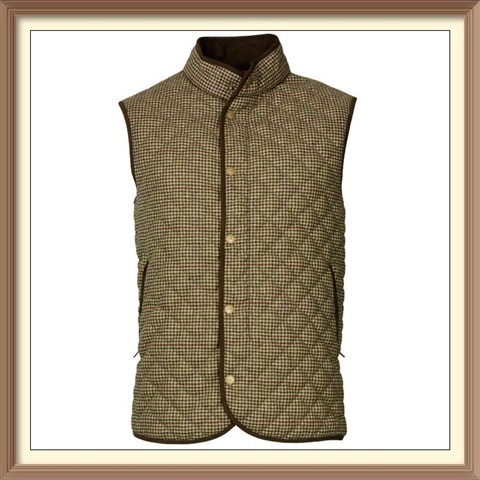 Material: 100% pure new Scottish Wool Tweed, Teflon, Amaretta™ Lining: 100% Polyester Features V-shaped neck Reinforced quilted body with Amaretta™ Centre zip closure Large reinforced front pockets Adjustable side press stud seam Limited Edition The Laksen Grouse Collection Glenogil Shooting Waistcoat is a modern stylish tweed shooting vest made from a quality lightweight tweed and soft amaretta suede body. 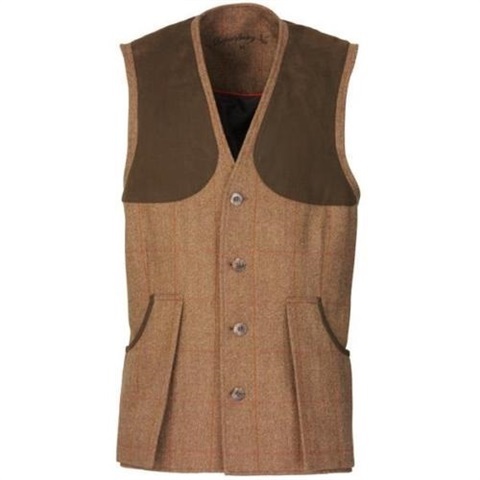 A stylish modern shooting waistcoat that is hugely popular with shooters and hunters as it comfortable and versatile. 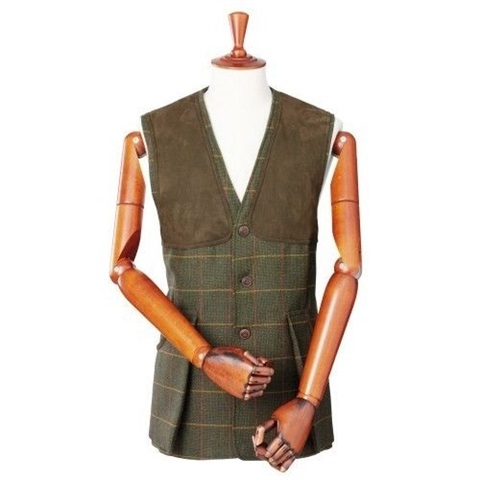 The quilted suede body panel provides great comfort when shooting making the Grouse Collection Glenogil a perfect shooting waistcoat to wear over the Grouse Collection jumper, shirt and tie. 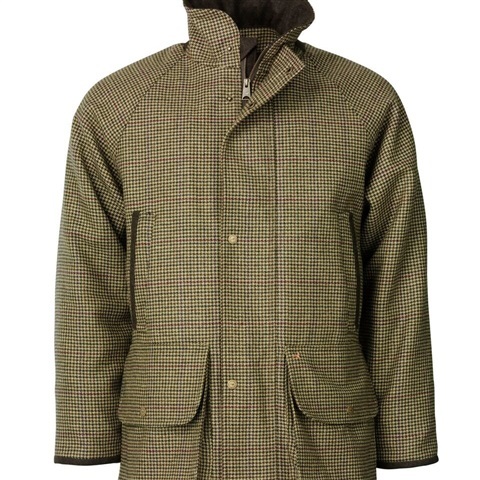 Laksen Tarland Shooting Jacket made with Scottish tweed from 100% pure new wool, coated in Teflon to ensure they are dirt and water-resistant. 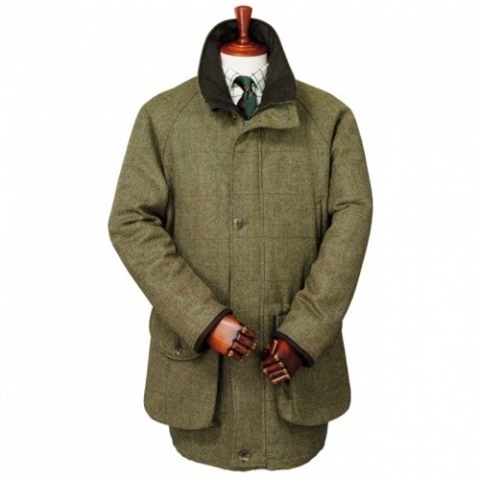 •Fully lined in lightweight CTX the Tarland shooting coat is 100% waterproof, windproof and highly breathable. 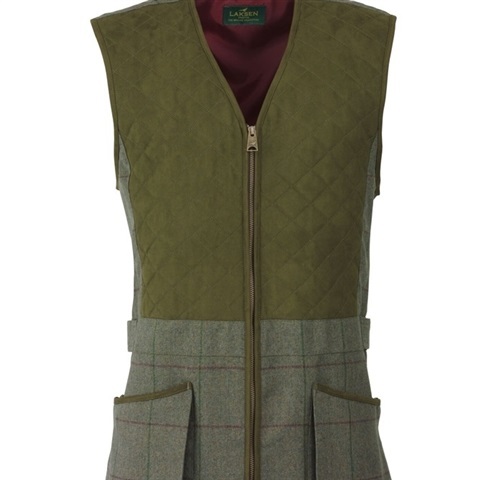 •Features include fleece lined hand warmer pockets, deep and spacious cartridge pockets and trimmed in soft suede. 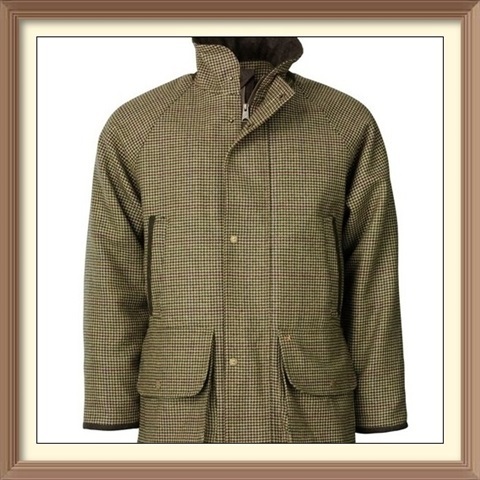 •A beautifully made coat to see you through the forthcoming season and many seasons to come. 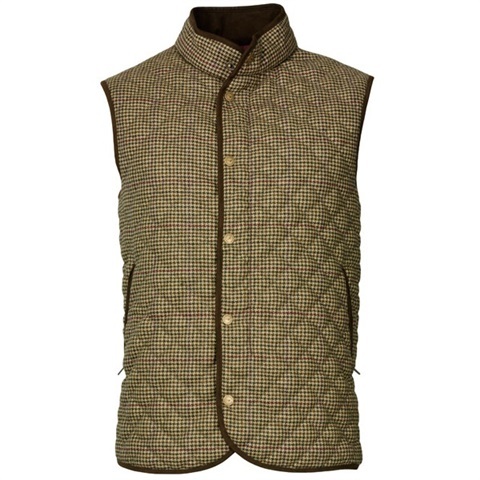 Laksen Dorset Breeks are luxurious pure new Scottish wool, gents tweed breeks that are part of the new Laksen Dorset Tweed shooting suit. 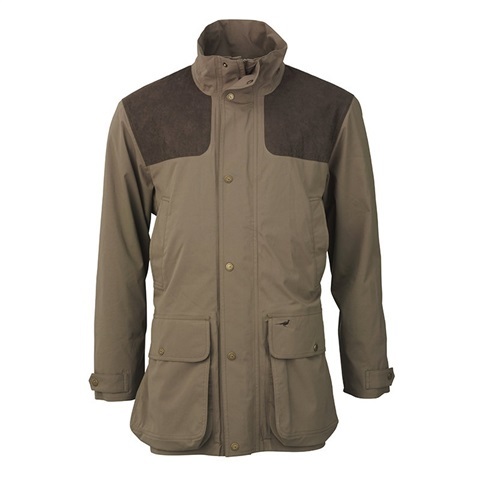 Made with a CTX™membrane which is fully waterproof breathable and silent with Teflon coating for the protection of the fabric from dirt and stains. 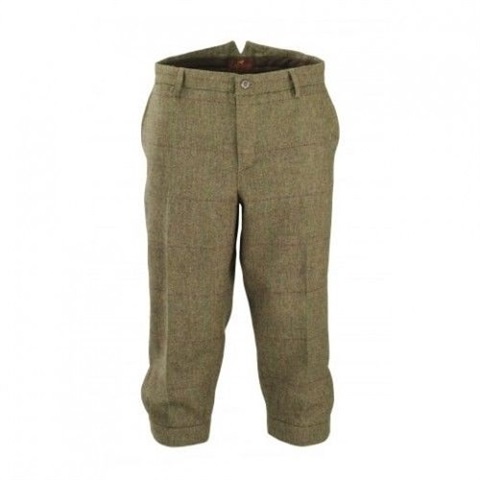 These comfortable tweed breeks have belt loops and adjustable leg hem allowing you to achieve the perfect fit. 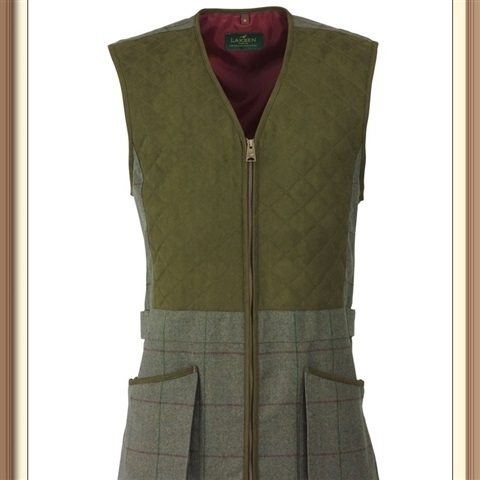 Available as part of the exclusive new Laksen tweed shooting suit or on their own in a full range of sizes. 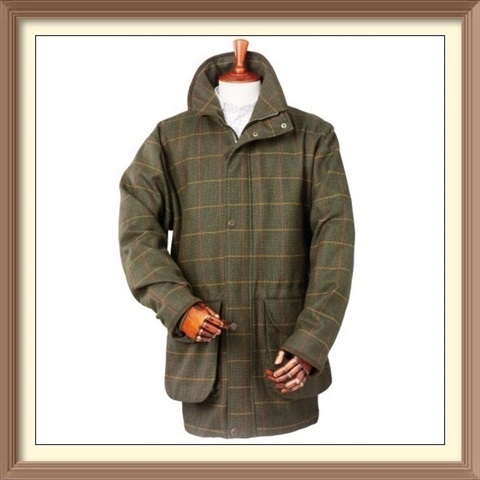 Scottish Tweed 100% pure new wool CTX™ membrane waterproof windproof breathable * Please note these breeks measure in smaller than they are advertised, so it is highly recommended to order the next size up. 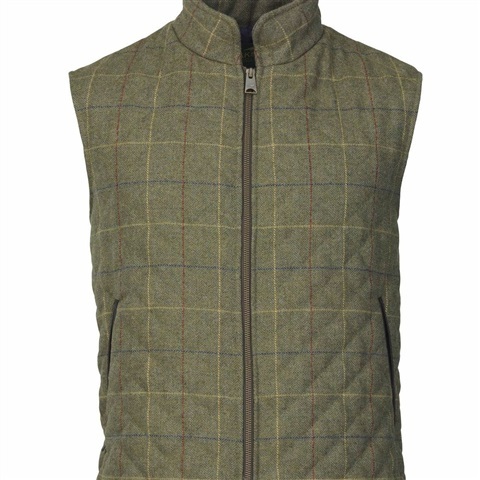 Tarland Scottish tweed of 100% pure new wool, Teflon® coated, Amaretta™ reinforcements, CTX™ membrane; waterproof, windproof yet breathable. CTX™ Waterstop system. 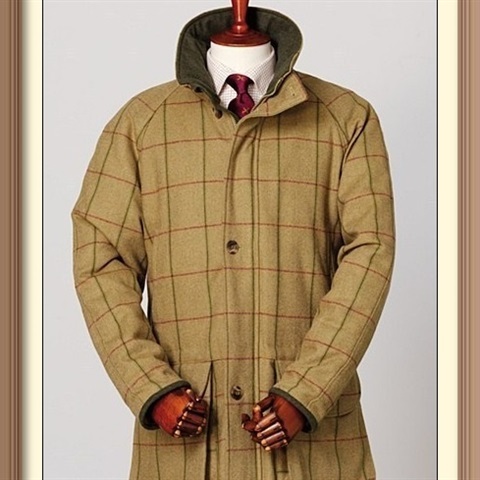 The Laksen Dorset Roxbury Tweed Shooting Coat is high quality, classic, men's tweed shooting jacket which is part of this new Laksen collection that will offer you a stylish traditional coat that is fully wind waterproof and breathable with all the functionality you need for a great day out in the field. 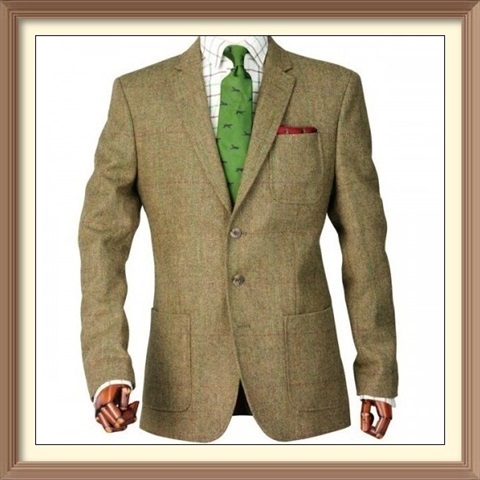 100% luxurious Pure New Scottish Wool for a high quality natural fabric offering a versatile robust outer fabric that looks good and feels great to wear. 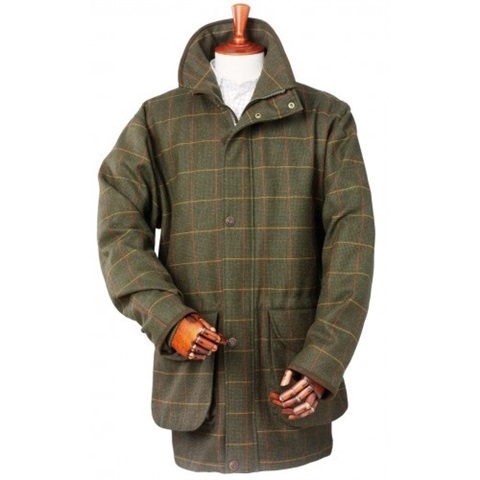 Loden Steiner which is 100% natural Austrian wool which has been crafted by processing the fibres to create a robust soft fabric which id ideal for reinforcing the collar and cuffs and keeping you warm CTX ™ membrane which is guaranteed to be fully wind waterproof and breathable regardless of body temperature so when active you stay comfortable and dry Protected using a Teflon Coating which protects against water and stains The lining is polyester which looks and feels great as well as wicking the moisture away from the skin There are two warm hand warmer pockets with quick load straps for easy access to your cartridges The centre front zip is a two way, effective and robust zip covered by a storm flap with authentic buttons which keep you protected from the weather Action back tailoring for more freedom of movement Laksen Dorset Roxbury Shooting Coat is a luxurious top of the range pure new Scottish Wool Shooting tweed jacket with CTX™membrane which is fully waterproof, breathable and silent with Teflon coating for the ultimate shooting suit. 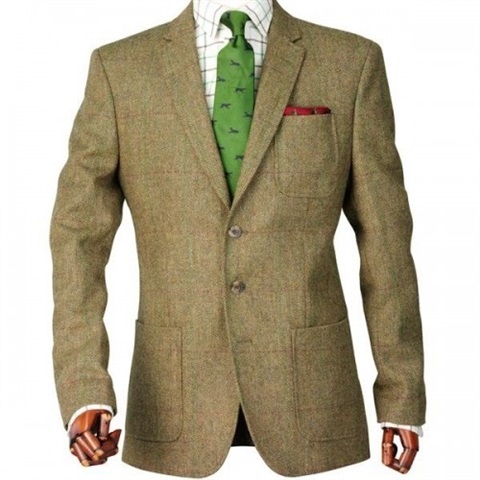 Part of a great tweed shooting suit, this gents jacket has been innovatively designed with all the features needed to protect you from the ever-changing climate when out in the field, allowing you to enjoy your day. 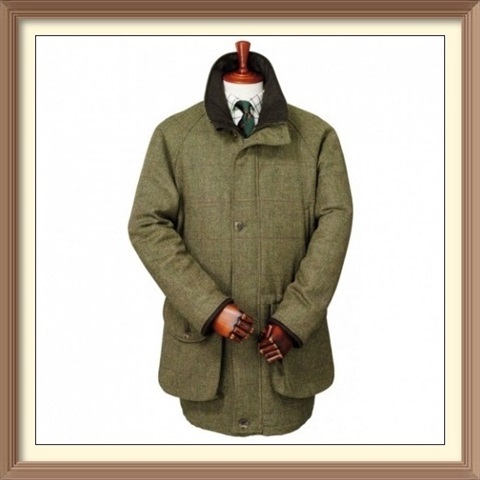 This warm tweed coat is extremely hardwearing and noiseless making it ideal to blend into your environment. 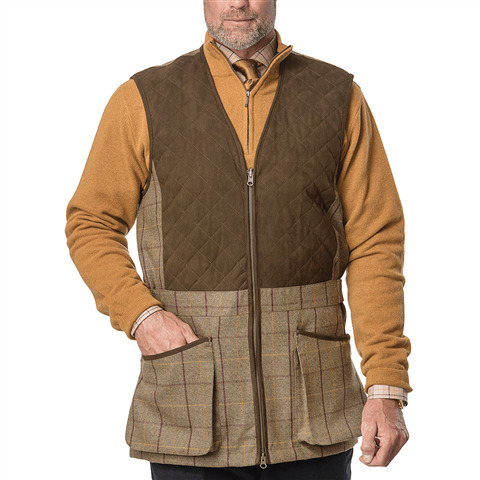 There are two large cartridge pockets with drain holes and the collar and cuffs have been trimmed with the Loden Steiner which is soft to touch and will keep you warm. 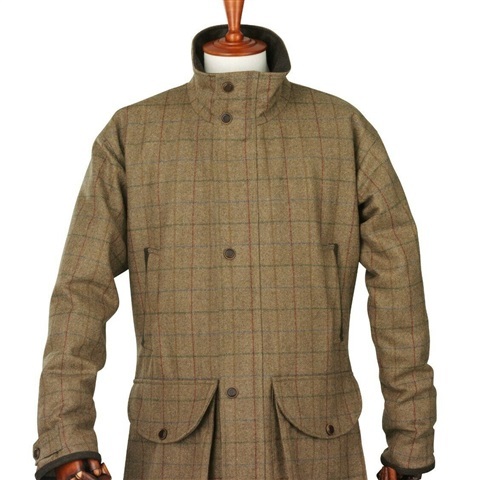 Laksen Dorset Roxbury Tweed Coat.